Dwight Flickinger – Realtor Extraordinaire! Dwight Flickinger and his wife Violet were neighbors of ours when we first moved into our home on Princeton Ave in 1992. He lived two doors down and was the patriarch of the street. Upon his death in 1999 (see obituary) his children were charged with taking care of his belongings and his home. Before the estate sale they were kind enough to invite us over to see if there was anything we would be interested in. Well, there was. Up from his basement we wheeled a tall solid wood filing cabinet into our dining room, it was HEAVY. Initially we thought it was a single piece of furniture but when light was shed upon it we could see that an additional top was glued to the original cabinet. 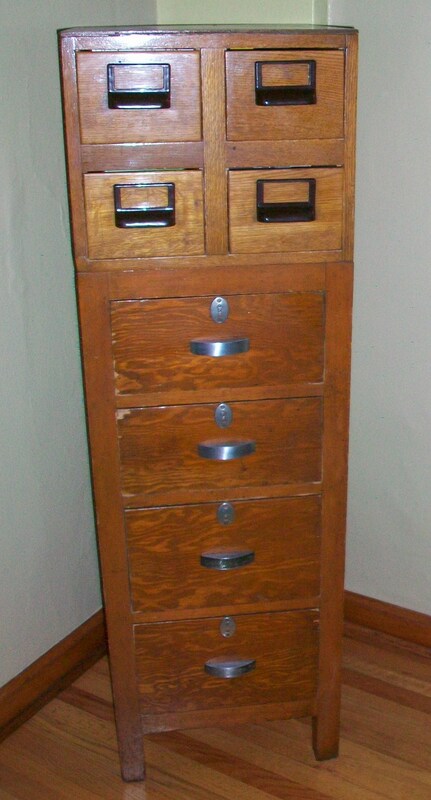 It was a 2×2 drawer card catalog. But seriously, why was it so heavy? Upon further inspection the filing cabinet was FULL of Dwights life’s work as a realtor. What a treasure to have discovered. We let the family know of our discovery and they were fine with letting it go. We sifted through it for hours and hours, many papers were extinct blank forms that have long been replaced by our computer age. 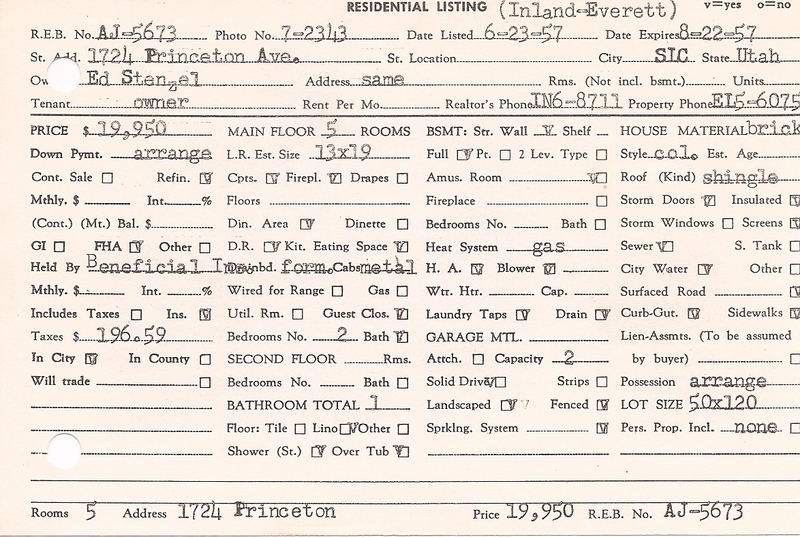 The most fascinating ‘find’ was the collection of all of his listings throughout the years. 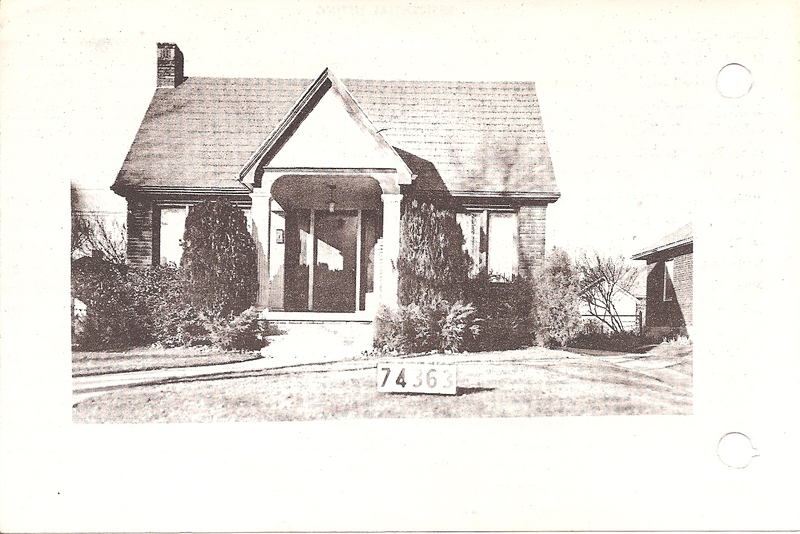 These were 4×6 inch cards with a picture of the home for sale on the front and stats and pricing on the back. This is where the card catalog ‘addition’ came in handy. 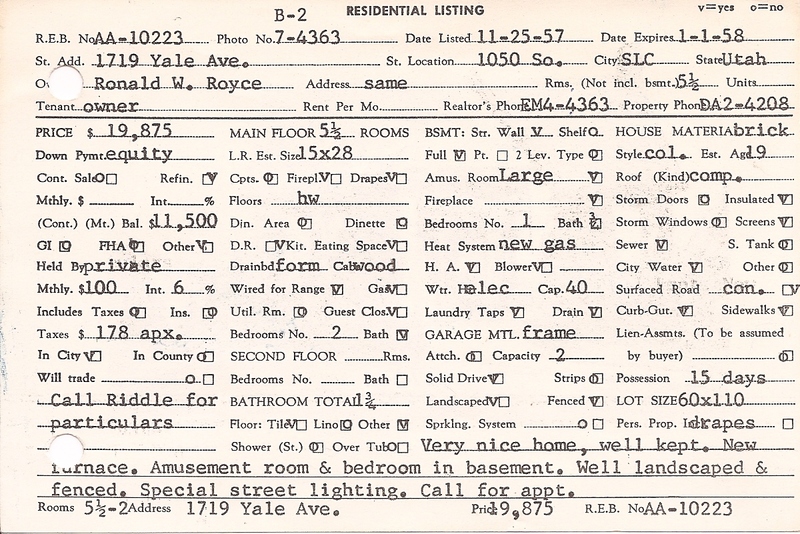 There were many listings he handled in Yalecrest and to our delight we found OUR house, listed in 1957 for $19,950! Not included was the ‘Woody’ in the garage and black lab on the back step shown in the picture. 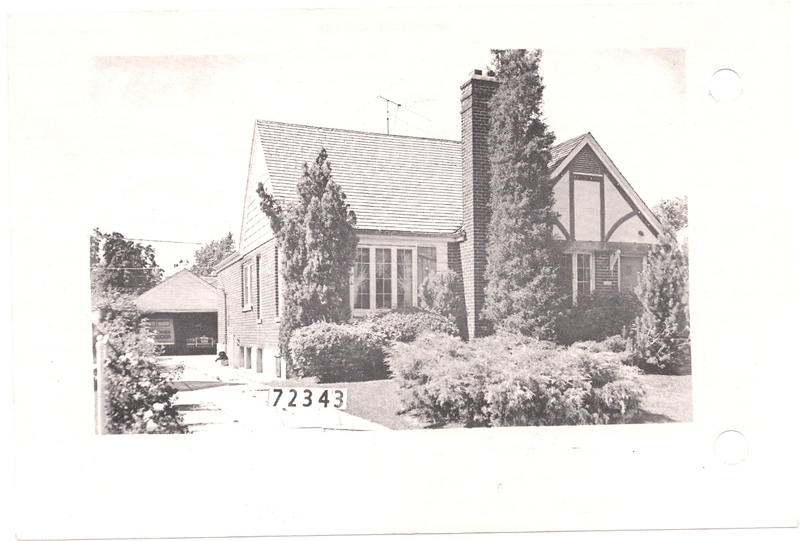 Amazingly enough we also found the listing for our first home on 1300 South down by the Dairy Queen. We have been fortunate enough to distribute other ‘listings’ to current occupants in Yalecrest and share the story. 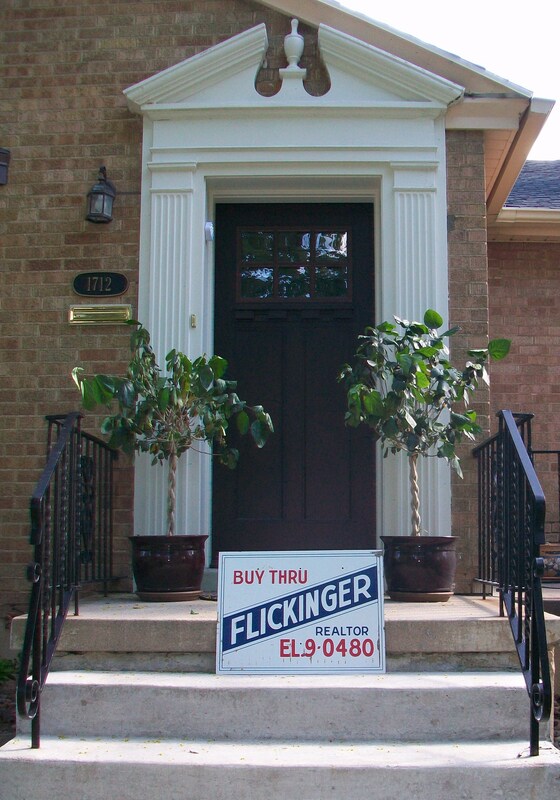 We also asked for and were given a Flickinger ‘For Sale’ real estate sign of Dwights-see picture of it taken in front of his house. What a treasure and story to share, thank you Dwight.